The reinforced aluminium frame with wide crossbars (10 mm each) makes this table ultra-strong and reliable. White edging on the cover looks amazing. The carry bag is lacking in quality. 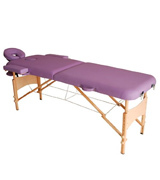 The KMS FoxHunter is a stylish massage table that will surely attract your attention. It's made of high-quality PU leather that is oil- and moisture-proof. Plus, it's filled with 36-density foam, thus, it's very comfortable for clients. Truly luxurious option. 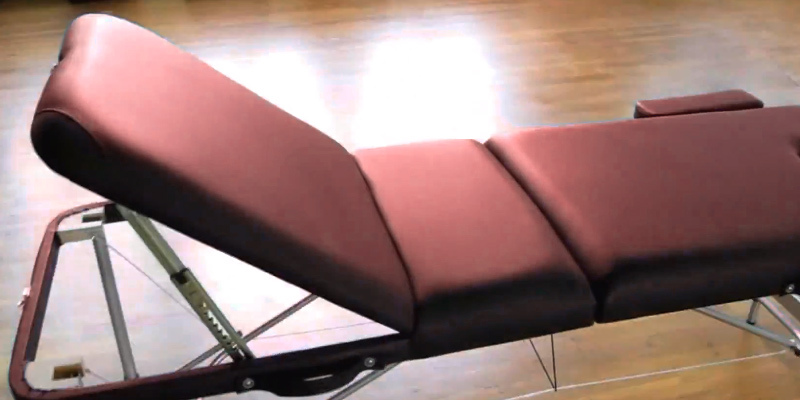 The backrest can be adjusted to 10 different positions for your clients' maximum comfort. The table is extra wide and extra long. The table takes pretty much space. The Massage Imperial C-12 Chalfont portable massage table is wider and longer than conventional models, so it's a worthy purchase for sports masseurs who often give massage to such athletes as basketball players or swimmers. 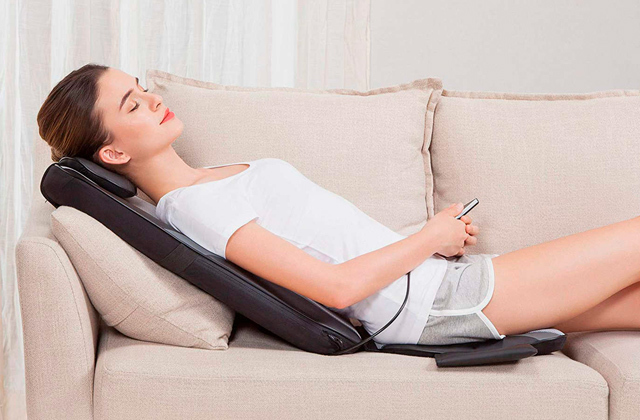 This massage table is ready for use right out-of-the-box. It comes already assembled and is easy and quick to set up/fold away. Can be used with or without extra head- and armrest. The straps for accessories underneath the table are rather weak. This beautiful couch boasts the best price/quality ratio. It will provide you and your clients with a high level of comfort. It weighs just 13.5 kg (without accessories), which makes it an excellent choice for mobile therapists. Available in 7 colours. The polyurethane foam of this model stands out among others not only with its impressive thickness but also high density, elasticity and the ability to adapt to a person's body. It might be a bit tricky for you to adjust its height. 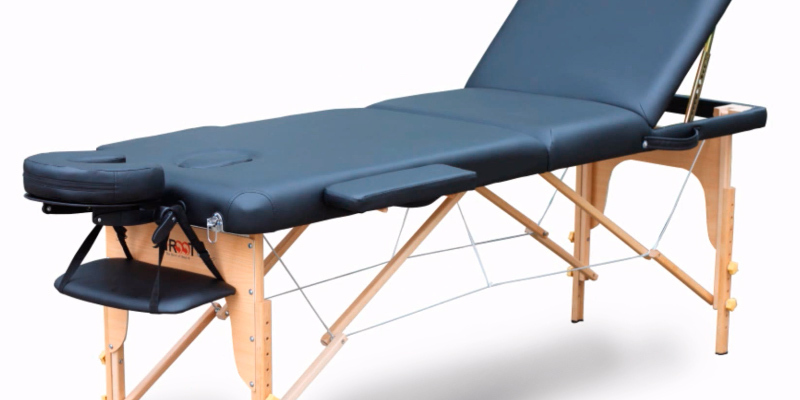 The Linxor folding massage table with a strong aluminium frame is a handy solution for those therapists who often need to take a table with them. It's fairly lightweight and comes with a convenient carry case. It meets CE standards and is offered in 4 colours. 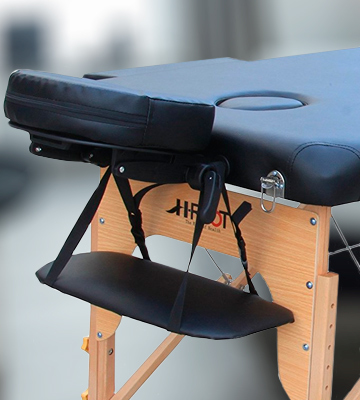 The HomCom massage table can be adjusted in height up to 87 cm, which is great for tall masseurs. Not only your clients will feel comfortable! The additional head support is a bit flimsy. 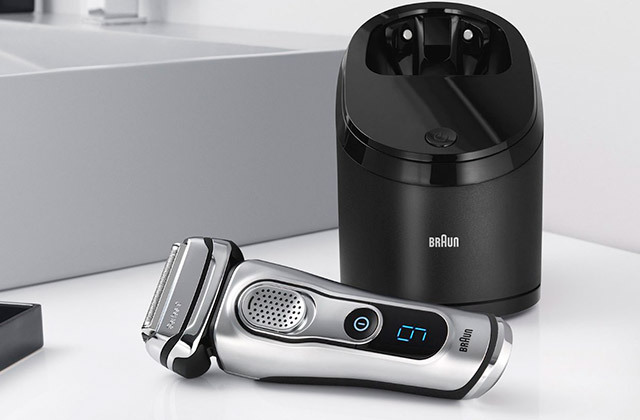 It's a perfect model for both beginners and travelling professionals. Upholstered in an attractive purple PU leather, the table looks sleek. It's very simple to use: it can be quickly set up and folded down without any additional tools. The FoxHunter Luxury portable lightweight couch is absolutely durable and smart. It's made of high-quality PU leather and 4cm foam, thus it's very comfy to lie on. The cover is oil- and water-proof. Manufactured with an aluminium frame, the table is very steady and solid. However, it can be slightly heavy on your shoulders when folded. This professional portable massage table comes with instructions how to open and close it. It will take you just a few seconds to put it up and fold away. The couch can be three-folded and its length can be extended (with headrest) to 205cm. The headrest is easily adjustable, just pull it up until you hear a click and pull it up again to drop back flat. Also, you can set the proper height, leave it, and then fold the table away. The height is customizable anywhere from 68cm to 85cm. The table is supplied with 2 side arm supports and 1 front armrest sling with a heavy-duty strap. Additionally, the package includes a carry bag and a fitted couch cover. The table has studs on the side if you don't want to leave the cover on when it's folded. 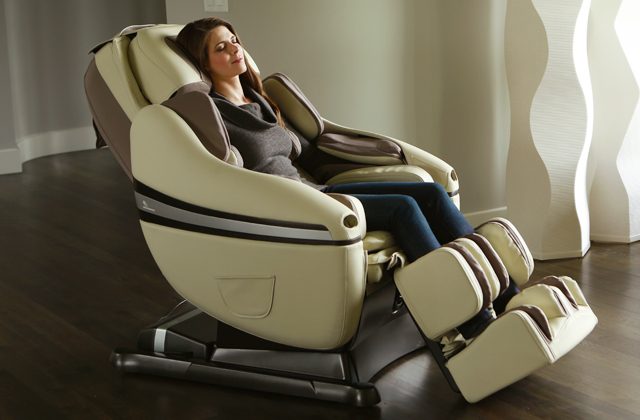 For the price, it's a fabulous couch for beauticians and massage therapists. 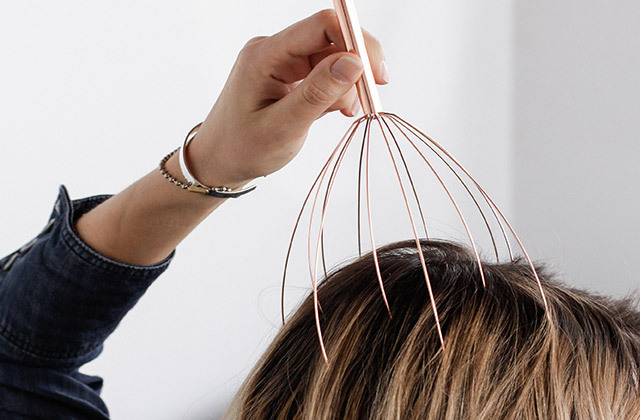 It will help you melt away your clients' stress and soothe their mind. If you want to give a good massage with relaxation as its goal, we recommend you to stick to these simple tips. You should prepare the environment. The room must be at a comfortable temperature and there shouldn't be pets around to interrupt. It would be great if you make a playlist of relaxing music. Also, prepare towels to have them at hand. It's important to cover the body areas you have already massaged so that the body heat won't escape. Use lubricants. We don't suggest using water-based lubricants, as they are absorbed by the skin too quickly. The best option would be massage oil. Have something to drink close by, as people are usually thirsty after a good rubdown. Targeting large muscle groups such as neck, shoulders, back, and legs is the most efficient way to relieve stress. The pressure should be even and firm. Use your fingers, palm, heel and fingertips. Move your hands gently and never apply too much pressure directly on the spine. It can be rather unpleasant. Similarly, massaging the belly can also cause discomfort. Do not leave your clients immediately after a massage, since they can get a feeling of being abandoned. Spare some time to your clients after the procedure. Try to establish some kind of emotional connection with them. 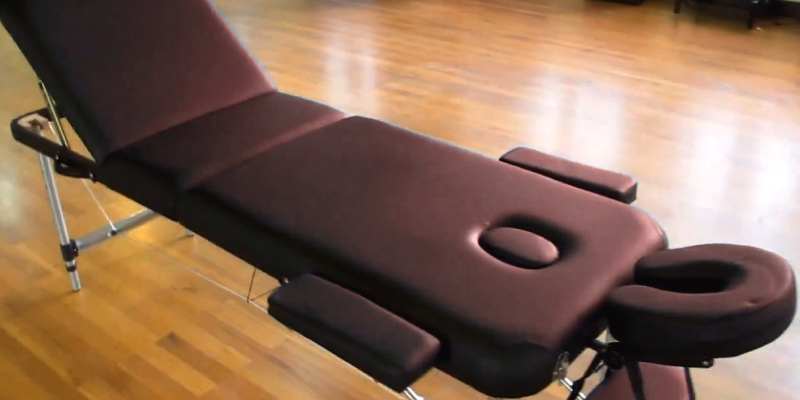 If you need an incredibly roomy table for your massage sessions, don't look further. Being 195cm long (without headrest) and 70cm wide (without side arms), this table has an impressive working weight capacity of 273 kg. Thus, this sturdy model can accommodate almost everyone. Additionally, its backrest has 10 different customizable positions for added comfort. The height is adjustable from 61.5 cm to 85 cm. Once the leg height is set, you won't no need to change it anymore. Next time when you open the table, the wires will cause the legs to position themselves automatically. All you will need to do is straighten the table and tip it upright. The table is extremely easy to set up and put down. When folded, it requires minimal space for storage. Made of the finest German Beech, water & oil-resistant PVC leather, and 5cm high-density foam, it looks very professional. Its quality and design are fantastic. Even under the heavy weight, the table doesn't creak or move at all. The manufacturer provides a nice array of attachments. The bench is supplied with an adjustable/removable deluxe face cradle, 2 side arm supports, front armrest, carry case, and face hole plug. The face hole is of a good size and comfortable to lie facedown. The neck brace and armrests are well-padded and comfy. All the accessories can be neatly stored inside the table when it's not in use. For convenient storage and transportation, the table can be put in a carry case. It's made of strong material and comes with elastic straps of different length. 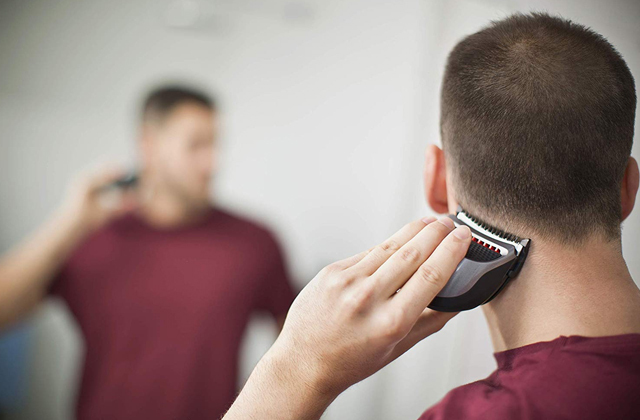 You should put the longer one over your shoulder and grip the shorter strap with your hand. This design allows you to carry the table in the most comfortable way. All in all, this portable table will be very helpful for those masseurs who need something a little wider and longer than standard massage tables. 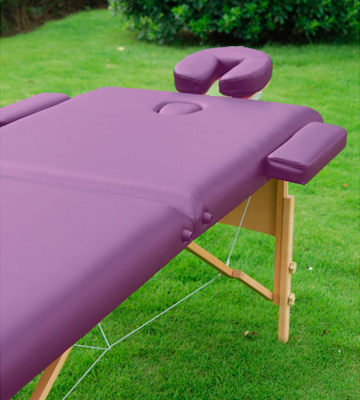 A great number of different add-ons can make massage tables almost endlessly modifiable and versatile. 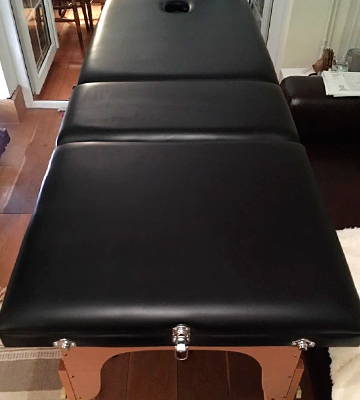 Table Extensions can add a few centimetres of length to any massage table. So, if you have tall clients, especially basketball players or other athletes, this is a welcome addition to you. The majority of sports masseurs use them. Side Arm Rests will add several invaluable centimetres to the side of the massage bench. Great for those practitioners who often give massage to wider-shouldered clients, swimmers for example. Massage Table Warmers are especially useful during chilly winter months. Not only cold can make you feel uncomfortable when you're lying down on the table. It can make your muscles stiff and your entire body tense. 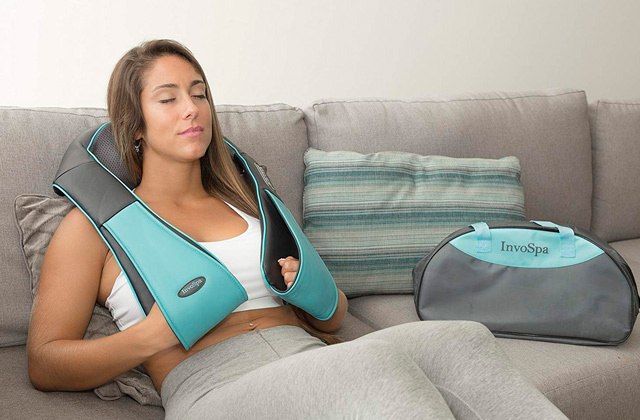 So, a warmer can make massage much more comfortable and relaxing. Pregnancy Cushions can be useful not only for pregnant women! They can help any client who experiences discomfort while lying down on their stomach without support. 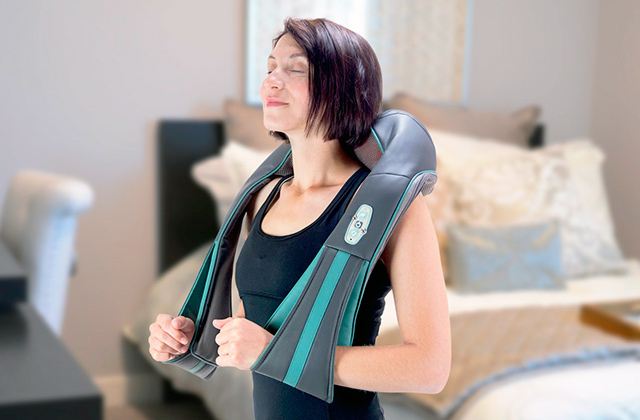 H-ROOT is a well-known company that specializes in massage equipment. They manufacture portable massage tables, massage chairs and many other massage-related accessories in their own factory. All their tables are made of the highest quality materials to be safe, comfortable, and durable. 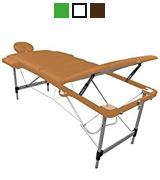 This 3-section wooden massage table is extremely sturdy and strong. Made of Birchwood frame and legs with steel cable, it neither wobbles nor squeaks under the heavy load. 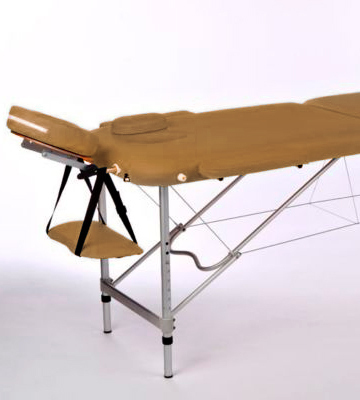 By the way, the max capacity this fold-away massage table can withstand makes 250 kg. The table weighs just 13.5 kg (16 kg with accessories) and is not too heavy to carry along. Plus, it's supplied with a carry bag, so it's a good option if you want to go mobile. The set also includes an extension headrest, front armrest, face hole plug, and two side arm supports. The armrests can give more width to the table, just fix them at the opposite ends of the couch. With them, the table can be extended up to 85cm wide. As for the length, it can be either 186 cm or 216 cm (with a headrest). Also, you can adjust the height of the table from 64 cm to 85 cm to save yourself from any a potential backache. The couch comes already assembled. The putting up is simple, but sometimes it might be a little hard for you to flip it onto its legs. It folds away just in seconds and easily slides into a carry case. The table is covered in water- and oil-resistant PVC leather that can be wiped down pretty well. You can choose Black, Cream, Navy, Orange, Pink, or Wine covering to suit your needs. The table is great for sports injury massage, physio treatment, aromatherapy, healing massage, Swedish massage, and much more. Also, you can use this beautiful table in beauty salons and tattoo salons. Massage therapists usually work in small rooms, and there may not be many choices of where to position a massage table. However, you should try to place the head of the table in such a way that clients could always see the door when lying on their back. If people don't see who is coming in, they are likely to feel overwhelmed and surprised. This might startle them and interrupt relaxation. Therefore, they should see who is entering the room without having to turn their head around. This position of the table assures that your clients have total control of their space and can take full advantage of the massage session. Also, try to pamper your clients with such things as fresh flowers, lush towels or blankets, and a comfy rug in your room. They don’t cost a fortune but can add cosiness to your place. 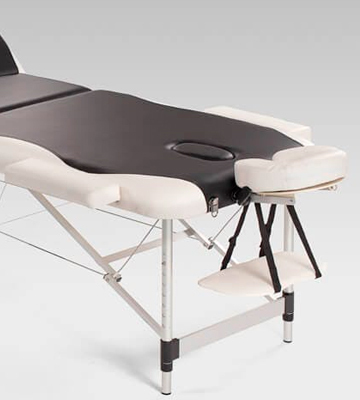 Designed for both professional massotherapists and amateurs who just want to give a relaxing massage to their close people, this LINXOR table combines all the advantages of a stationary and portable models. It's produced from high-quality materials in compliance with all CE standards. Thanks to a sturdy aluminium frame, the table is pretty light but steady. For the padding, the manufacturer has used premium 7.5 cm Polyurethan foam with the density of 24 kg/m14. 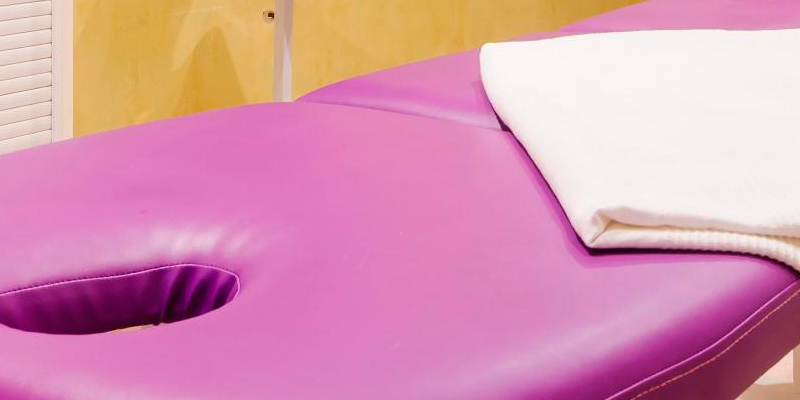 Thanks to such a thick padding, your clients will definitely experience ultimate comfort during your massage sessions. 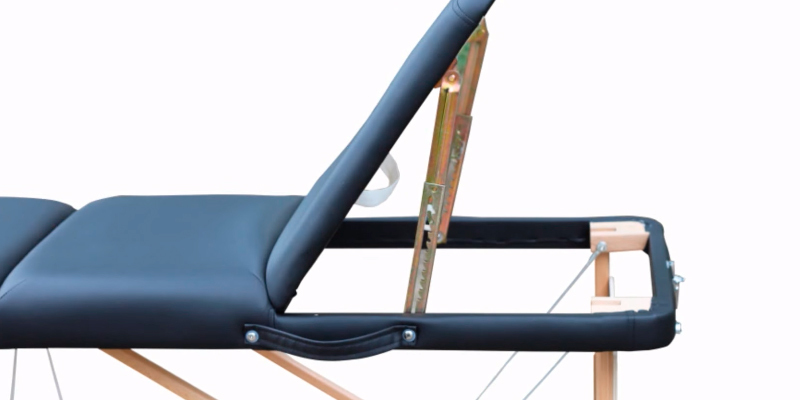 For additional convenience, the backrest can be adjusted to 7 different positions. As for accessories, a removable headrest that comes in the set allows you to change an angle of inclination, while side armrests provide extra support for arms and are easy to dismantle if needed. A durable carrying bag is super-useful for transportation. 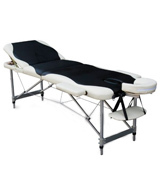 This lightweight portable massage table can be installed in minutes without any special tools. It can be used even in rather tight spaces as it boasts a pretty compact size and a removable face cradle. To adjust the table height, you need to unscrew swivel bolts by hand. Note that this massage bench is available in 4 colours. Lightweight, sturdy, and stylish! Both novice and advanced masseurs will definitely appreciate it. Regularly check up legs, joints, and frame of the table to make sure nothing breaks down over time. Pay close attention to all the screws, bolts and nuts. Tighten screws and leg adjustment knobs regularly. Also, check the cables, wires, frame, base, to notice whether there are some signs of weaknesses or not. You should clean upholstery on a regular basis even if you use table sheets and covers. 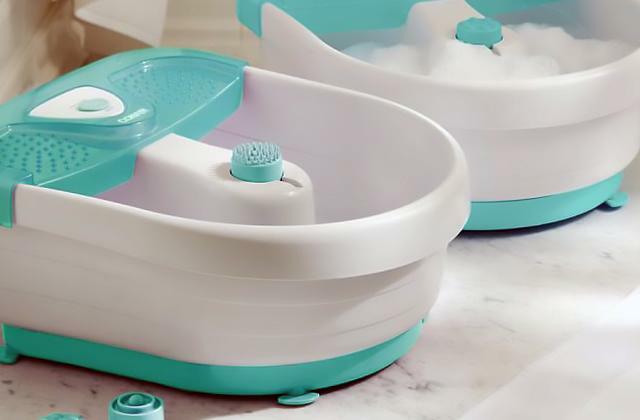 Use warm soapy water and rinse well to remove all soapy residues. Beware of using cleaners with alcohol and oils, as they might damage fibres of PU leather. Clean the light-colour massage tables with white towels. If you use sharp objects for your massage treatment (acupuncture needles, for example), be very careful, as PU leather is difficult to repair. Use special carry case for a portable massage bench. A good carry case can prevent scratches. Never leave your table uncovered during transportation and storage. If you're looking for an affordable yet good-quality portable table, you're at the right place. The Homcom massage bed is made of Birchwood and bi-cast leather. It's very sturdy (max weight load makes 250 kg) and easy to set up. It's also light enough to be carried for short distances. The table has a good padding and is covered with a lovely purple PU leather. We would like to note that the bright upholstery tends to get stained if clients sweat on it, so we recommend you to put a towel or special cover on this couch. The table is adjustable in height, length, and width. Even when the legs are set at the max height, they still can fit inside the folded table. So you won't need to fix them each time you open the table. The table comes with a headrest, two armrests, and a shelf to put creams, oils, and other essentials on. Also, you'll find a zipped carry case with a shoulder carry handle in the package. 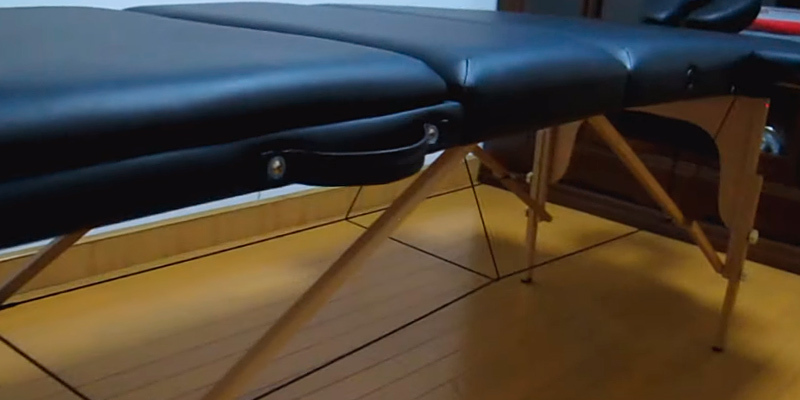 This simple table has everything to let you start practising massage! Feng shui is the art of arranging objects in our environment to promote the optimal circulation of energy (Qi). Most of us are sensitive to the flow of Qi outside of our bodies, so we often prefer environments with easy and smooth Qi flow. It's amazing how some simple feng shui layouts can transform the energy of a space. Here are some principles how to make your massage cabinet feel good. Entrance is an auspicious place. Everyone who is entering or leaving will be affected by the Qi. However, if your entrance hall has no windows or doors, the Qi might stagnate. 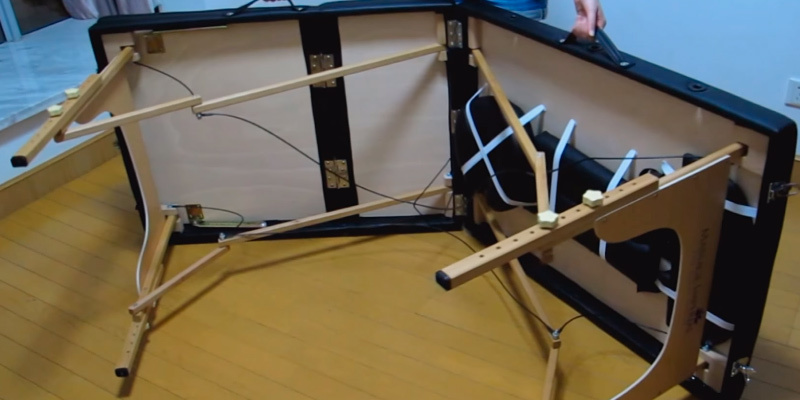 The solution is to place mirrors and fans to create the movement of energy. Sharp and jutting angles must be softened! Try to place plants, statues, or even comfy seatings in front of those angles. Water can promote the movement of Qi, so it's a good idea to get a water fountain. It will also deliver your clients a more relaxing experience. We would like to point out that the southeast corner is considered as the “money area,” so if you place a fountain there, it can bring you good luck and financial prosperity. Ceiling beams will generate negative energy that is directed downward. The best place for them is over your massage table. Wall colour is also of great importance. Red is considered to be the strongest colour. It's overly energizing and thus, it might hinder a restful experience. You should avoid its use in your treatment room. Choose colours based on your own energy. Dark browns, deep taupe colours, soft muted colours are good options because they relate to skin tones and can foster relaxation. This is where practitioners can exert their own style. Polished rocks under the massage table is a great way to encourage energetic grounding. They can connect us to the earth energy and bring the sense of stability. We bet everyone loves a soothing massage that takes them away from mental stress, relieves back pain, strengthens immunity, and increases joint flexibility. 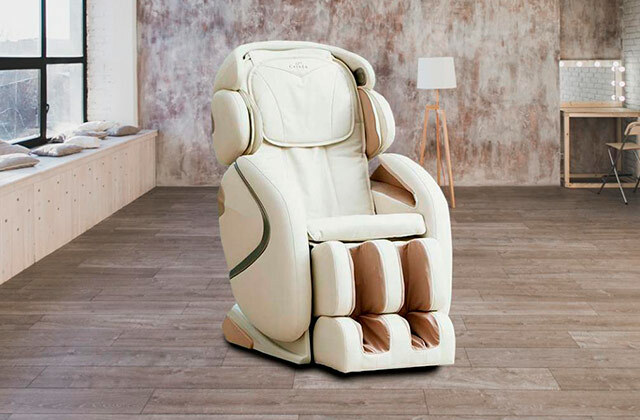 Well, when it comes to a massage session, one of its most important function is client's relaxation, which is impossible to achieve without a good massage table. 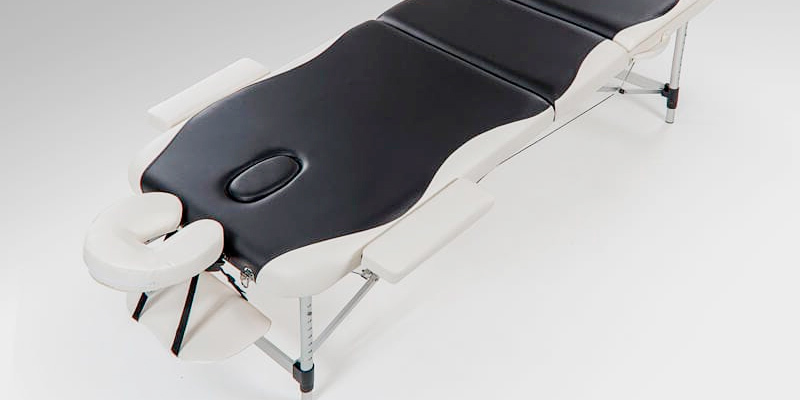 Nowadays, the market is full of both portable or stationary tables that can be tuned to each patient individually due to the adjustable legs, headrests, and armrests. 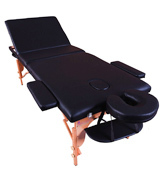 In addition to enhanced customers' experience, a functional massage table significantly facilitates lots of massage techniques performed by a massage therapist.So, we have chosen only the best massage tables to make your choice less tricky. In order to improve your spinal, we advise you to get one of the gel mattress toppers and have the best night's sleep possible already today. The first thing to start with is a type of a massage table. 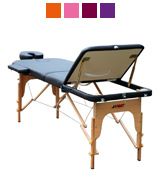 As we have already mentioned, there are two types of massage tables, portable and stationary. If you are planning to use the table in your massage cabinet or Spa only, you should consider buying a stationary model standing out for the excellent stability and impressive dimensions. Yet, if you are always on the go and need to use a table in several places, you should definitely go for a portable model which is easy to fold/unfold and store away in a case. 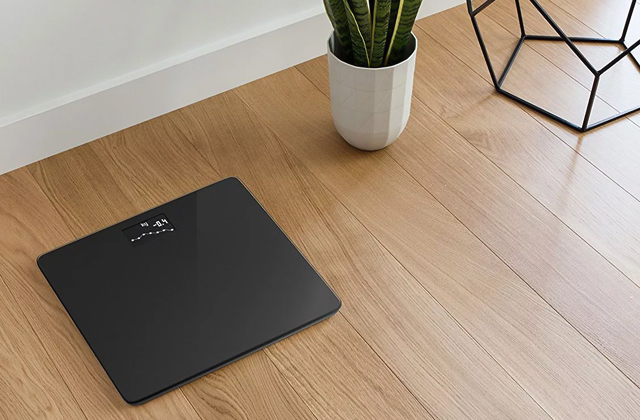 As a rule, portable tables aren't worse than stationary models and boast almost the same features except for the weight which is considerably lower. Speaking of the functionality of a table, it depends on such factors as dimensions, height adjustment, and maximum load. As for a size, here everything is clear: the wider and longer the table is, the more versatile it is. Spacious models are suitable for all people, both tall and short, slim and plump. Taking into consideration the maximum load, you will get an idea of how much weight can be put on a table surface. 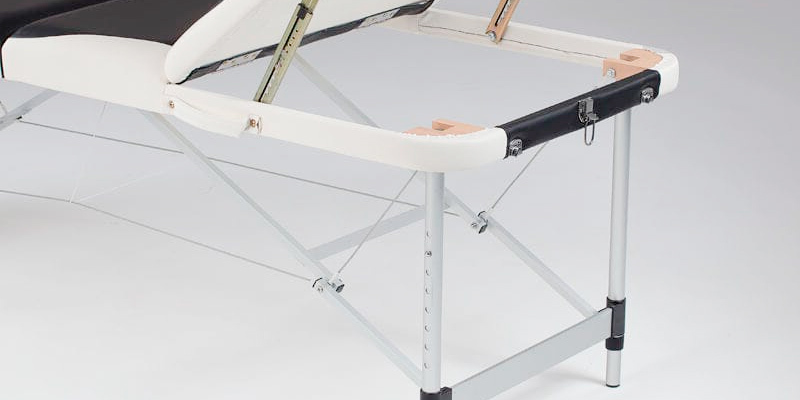 The versatility of a massage table also depends on the adjustable height, thereby, most manufacturers allow users to change the height of a table in the range from 60 cm to 90 cm. Since the material is what contacts our bodies, it should be chosen with due care. 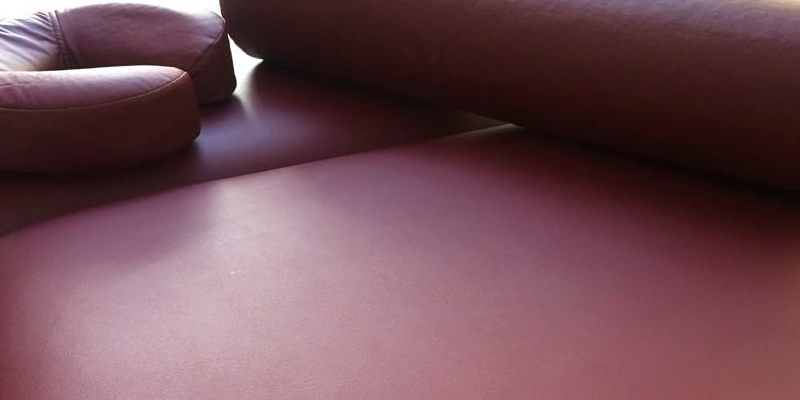 In this regard, artificial leather and polyurethane are commonly considered to be the softest, most hygienic and durable. The filler should also be thick to provide enhanced comfort. Speaking about the frame, it should be made of a heavy-duty material so as to ensure a stable position of a table during massage sessions. However, a lot of manufacturers today choose to use hardwood tree to lighten the whole construction. Also, do not forget about additional accessories which usually come in a set and can increase the comfort of use. They may include an adjustable headrest, a face pillow, an armrest, etc. A holder for towels and a special case for aromatic oils add to the simplicity of use. If you choose a portable table, you should also pay attention to the models paired with special carry bags for ease of transportation. Massage is the first health care services known to man. Egyptian tomb paintings from as long ago as 2,500 BC depict people who gave and received massage. In 60 BC, Julius Caesar used massage to help his epilepsy. When you receive a massage, your body releases endorphins which are natural painkillers. Massaging your ears (top, middle, and bottom of outer earlobes) daily improves your immune system. A 60-minute massage treatment is about the same as 7-8 hours of sleep to our body. Bob Hope, a famous comedian who lived up to 100 years, had a 3-4 hour massage sessions every day. Massage isn't necessarily performed on a massage table. You can get it in a chair, on a floor mat, or even in a therapy pool. Swedish massage is the most well-known type of massage in the Great Britain, yet there are about 300 different massage modalities used today. The sedentary lifestyle might lead to lower back pain, and this is the most common reason for seeking massage. There are about 5 million touch receptors in our skin and 3000 of them are in our fingertips. And there are approximately 640 skeletal muscles in our body. Massage can treat stress and anxiety, and provide a sense of well-being. Elderly people that often give massage to their grandchildren are less likely to suffer from depression. You will benefit from drinking water right after a massage. This will help you flush out toxins from your body. You must not receive a massage if you have blood clots. In Korea, only visually impaired or blind people can practice massage. The longest massage chain included 1.600 people. It happened in the Philippines on May 16, 2014. This chain was even listed in the Guinness Book of World Records. Face-slapping massage can be performed in Thailand. The technique includes slapping the wrinkles off a face, thereby stopping the clock on ageing. Taiwanese Cleaver Knife Massage is a pretty dangerous type of massage. It involves steel cleaver with a blunt edge. With firm chopping motions, therapists pound pressure points on your body. Some people really believe that steel can remove harmful toxins and "negative energy". Snake massage in the Cebu City Zoo is performed by 4 giant Burmese pythons, ~300 kg each. They just move freely on your body. Such session lasts for 10 minutes. The pythons are fed 10 chickens beforehand in order to curb their hunger. Q: How to choose the right height of massage table? A: The height of the table depends on the height of a massage practitioner. All portable tables in our review have an adjustable height range from around 60 cm to 87 cm typically suiting anyone from 150 cm to 195 cm. The main rule for adjusting massage table is that it should be near your hip joint. For example, a 155-165 cm masseur can find out that a massage table set at 65 cm will be of the optimal height. Once you finish adjusting a table, make sure that all knobs are securely tightened. Q: How should I choose the width of a massage couch? Your height. Usually, the taller you are, the wider table you'll need. Type of treatment. Very wide tables are inappropriate for physically-involved treatments, as they make it harder for you to reach different body areas. Your clients. If your patients need more space, you should go for a wider table. Q: What’s the difference between a wooden and aluminium frame? A: Typically, tables with aluminium frames are lighter than wooden ones. Even if you find the wooden table of the same weight, it will be narrower and have less foam. No wonder that aluminium tables are a little more expensive. Q: What are the main characteristics of foam? A: The higher the density of the foam is, the more durable and supportive it is. As for the thickness, here, thicker does not mean better. If your priority is your clients' comfort, you should go for 7-cm soft foam. And if you need better support, the standard 5-cm thick foam will suit your requirements. Q: How should I clean the upholstery of my table? A: Both PU and PVC leather can be easily washed with warm soapy water and a wet towel. However, it’s better to get good sheets for your table. Also, it’s necessary to use a carrying case for transportation and storage of your table. Q: What is the difference between working weight and static weight? A: Static weight indicates how much stationary weight a table can hold. The weight should be spread evenly over the surface. The strongest parts of any table are four corners and the middle seam. Working weight is much lower than the static weight rating. It makes approximately one-fourth of static weight. Here, the pressure a massage therapist applies matters. 2. Massage Table Buying Guide, Walmart. 3. How to Buy a Portable Massage Table, wikiHow. 6. Damien Gayle Is this a sssssspa treatment? Zoo offers massage from four giant pythons, Daily Mail. May 21, 2014. 7. Massage: Get in touch with its many benefits, Mayo Clinic. December 7, 2015. 8. 17 Unique and Interesting Types of Massage Therapy, HubPages.